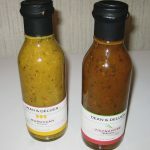 Sinful Sauces is a Northamptonshire, UK manufacturer that deals with spicy chile sauces, pickles and spreads. 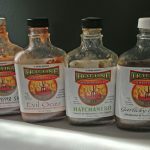 They pride themselves at using all-natural ingredients, particularly in their seven deadly sins sauce lineup. 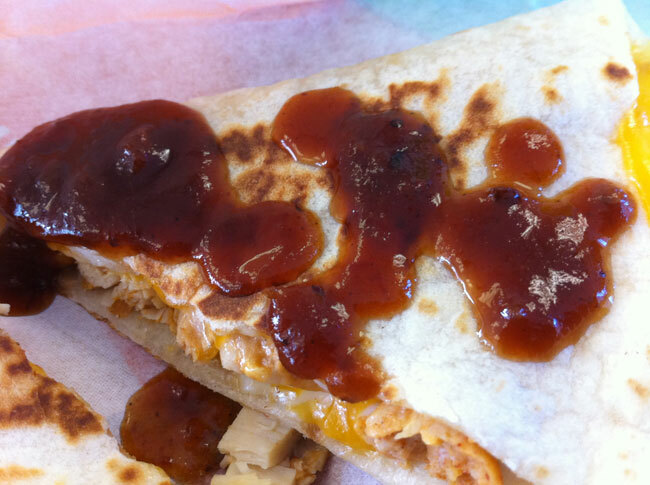 The one I’ll be analyzing today is Sinful Sauces’ Bliss Sweet BBQ Chipotle Hot Sauce and see if it truly would provide me with culinary happiness and bliss. 4.5 out of 5. Dazzling and mouth-watering! Rich and onion-y, tomato-esque and tangy, sweet and pepper-y, this is so delightfully complex and three-dimensional it’s almost four-dimensional (alright, you physics students needn’t e-mail about the fourth dimension really being time). 4 out of 5. 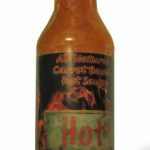 Bliss Sweet BBQ Chipotle Hot Sauce boasts a nice, smooth, medium-thick consistency, which would make it suitable for either a standard hot sauce or a barbecue sauce. It’s brown in color speckled with fragments of spices and seeds. 3 out of 5. 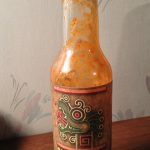 A lick off the back of the hand offers a subdued sweetness at the forefront that is almost lackluster (weak, sugar water comes to mind) until cool tones of onions, tomatoes and light, smokey chipotle chiles peek out although never rushing to become bold. A backend taste develops showcasing tart and spicy notes from the naga jolokias and the vinegar. The two never coalesce into one, unified flavor yet was still delicious enough to keep my interest. It proved to be even better and bumped up by overall estimation of Bliss. 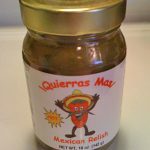 I’d have to say that I usually eat a hearty salsa with quesadilla slices, but I may have to change my eating habits to incorporate a sauce like this in the future. 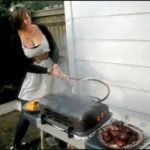 What about barbecue? well, I poured some Bliss on a dry, seasoned pulled pork sammich. 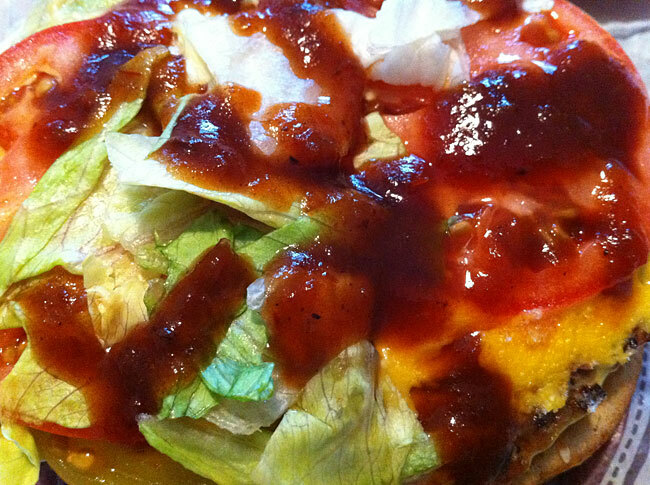 I thought that the sauce lacked a core “middle ground” richness to be a substitute for a BBQ sauce. Conclusion? 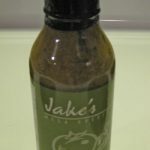 It’s good if you want a unique, BBQ-style hot sauce with a kick of heat but by no means could compete with better barbecue sauces on the specialty food market today. 3 out of 5. Don’t let the “Chipotle” verbiage in the title fool you into believing this will only deliver moderate amounts of burn. This stuff has healthy doses of naga (AKA bhut jolokia) fire present. It’s almost a sneaky and residual heat. Bliss is for chileheads and for the most daring of mild mouths only. 4 out of 5. Great all-around look with a black, glossy label. The Sinful Sauces’ Double S logo immediately reminded me of the Chicago White Sox’ own insignia. 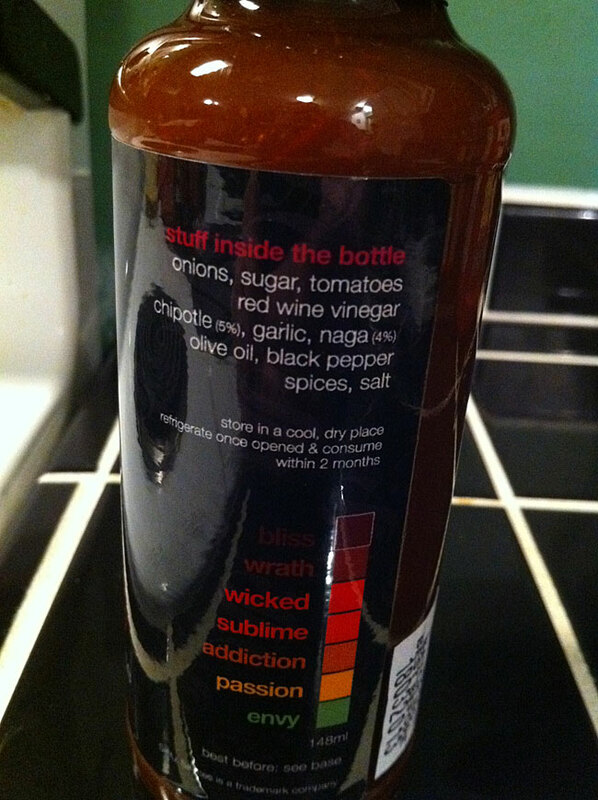 On the back, a color-coded heat chart is displayed with Bliss ranking at the top of the heap. 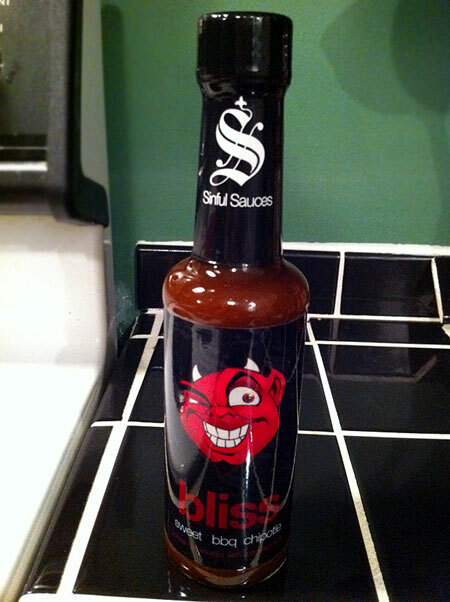 A nice little cartoon devil mascot adorns the the front as it does all of the other Sinful Sauces bottles. If there’s any gripe I would have is that the word “Bliss” and the tagline “luscious hot sauces with a devilish kick” are a bit difficult to read in the dark burgundy color; a bit more contrast is needed for those with bad eyes. In summary, a worthy effort from this British company. 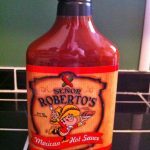 A smidgen more richness would have made this sauce an absolute winner. 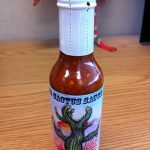 Bliss Sweet BBQ Chipotle Sauce can be purchased online at sinfulsauces.co.uk for UK £4.50 (currently $7.29 in U.S. Dollars).